Combining the strengths of our experienced and proven project team with our assets, Sapura Energy's Engineering and Construction business successfully undertakes integrated offshore development projects that deliver maximum economic benefits to clients. 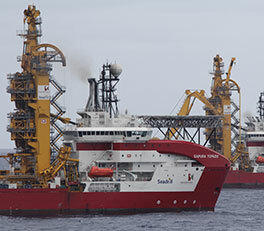 Sapura Energy provides high-end engineering services to offshore oil and gas projects across the globe. Leveraging on the combination of our highly experienced team, advanced technology and global knowledge networks, we enable clients to maximise return on investment in remote, hostile and deepwater environments. 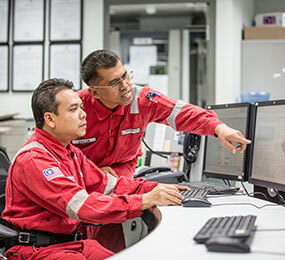 Sapura Energy’s Engineering and Construction business provides end-to-end, turnkey EPCIC solutions for the oil and gas industry. Supported by our in-house engineering team, fabrication yards, strategic assets and capability in subsea, transportation and installation of structure and pipelines, we deliver high quality products across the full EPCIC spectrum. We provide cost-effective Light Well Intervention (LWI) services for the subsea oil and gas industry. These cover the full life cycle of the field, from Front-End Engineering Design (FEED) study to installation, maintenance, abandonment and full decommissioning of subsea production facilities. Sapura Energy has an extensive range of offshore support services to ensure we always provide the best solution and services to our clients. Our primary activities consists of subsea services, diving services, geotechnical and geophysical services, offshore platform maintenance as well as offshore support vessels.